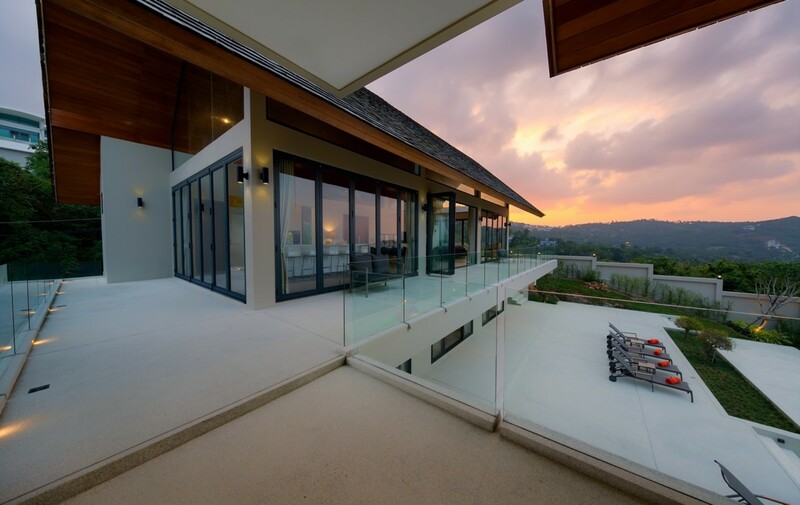 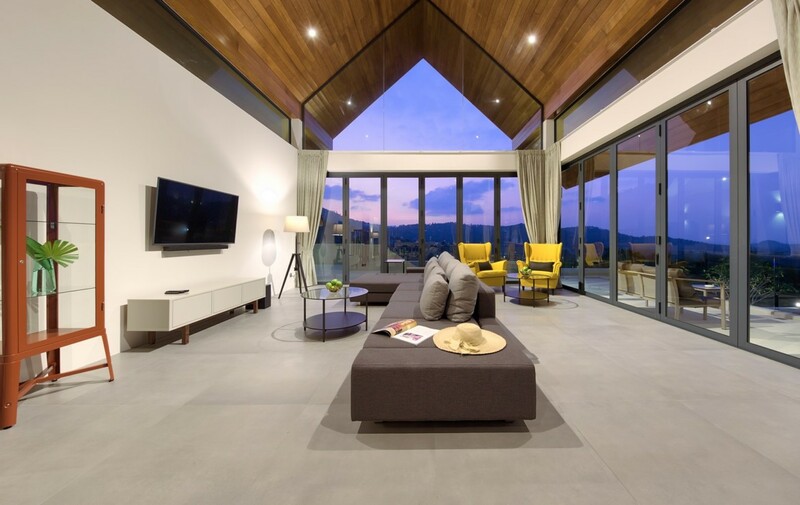 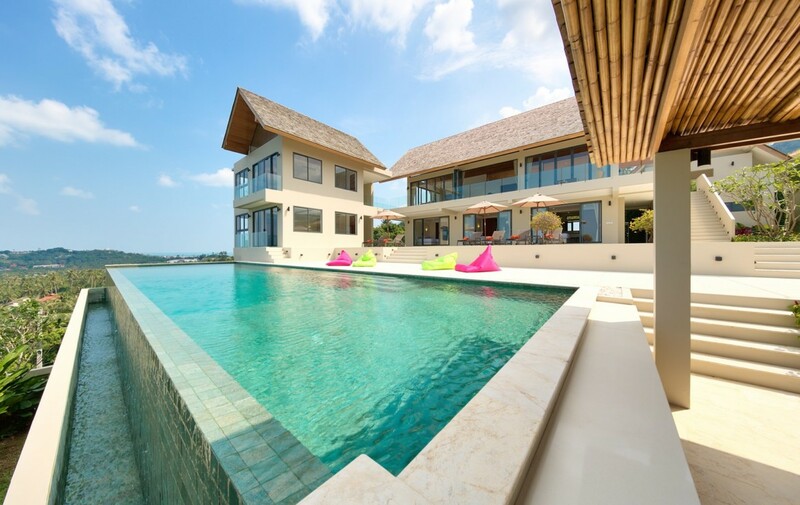 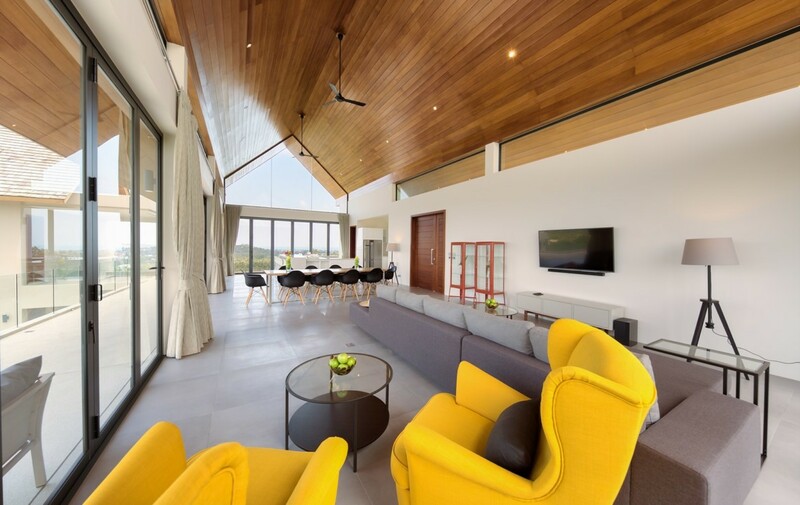 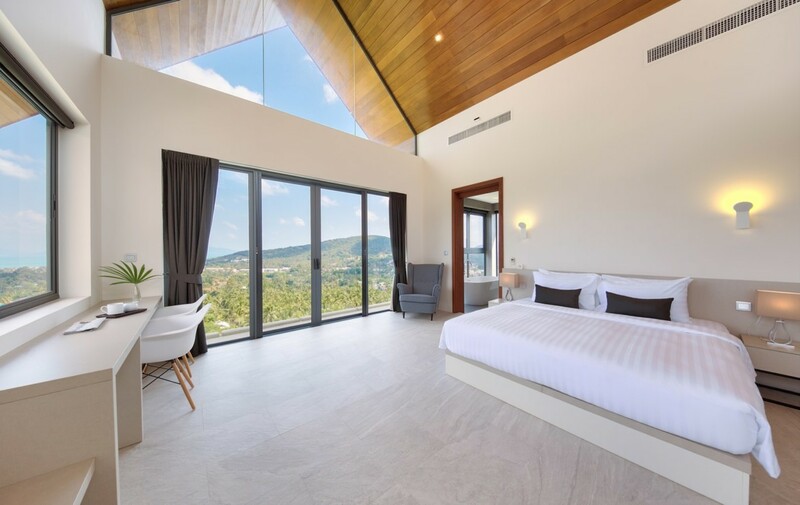 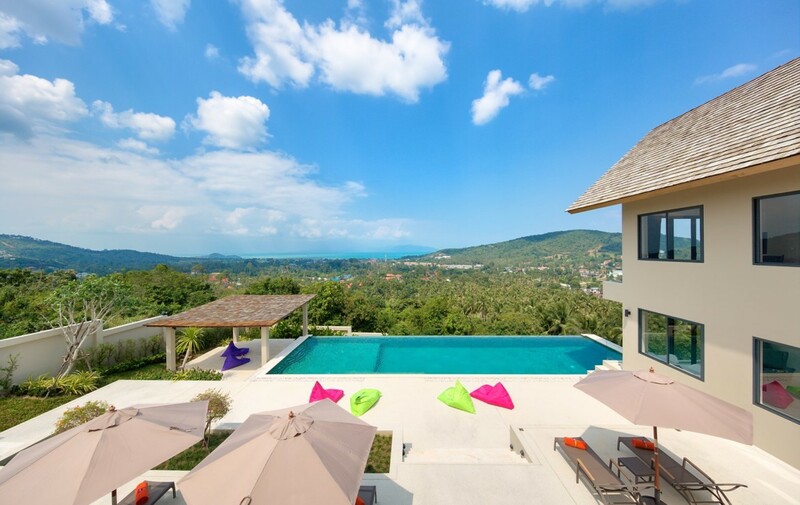 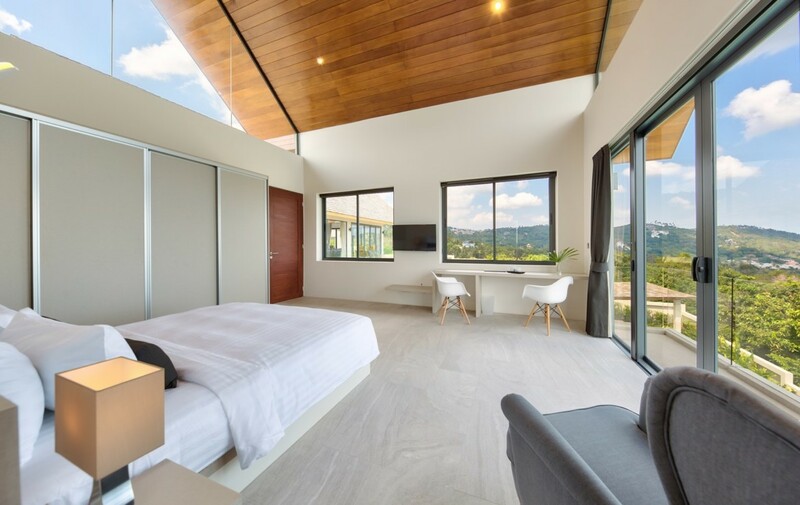 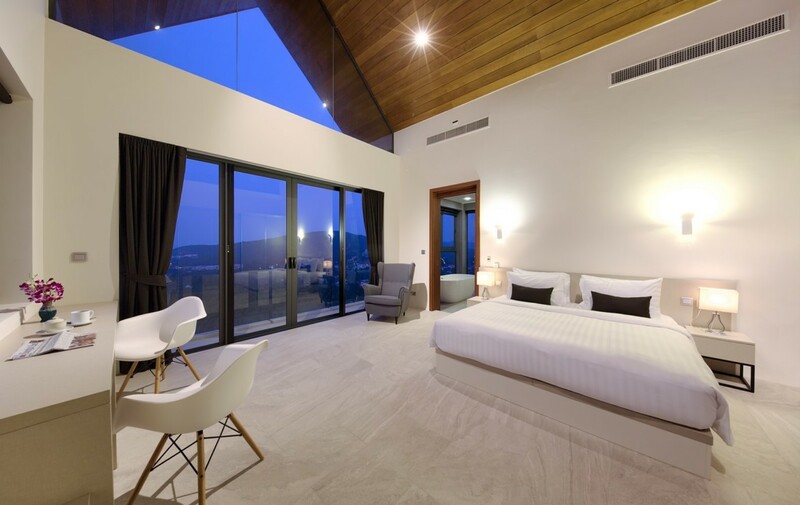 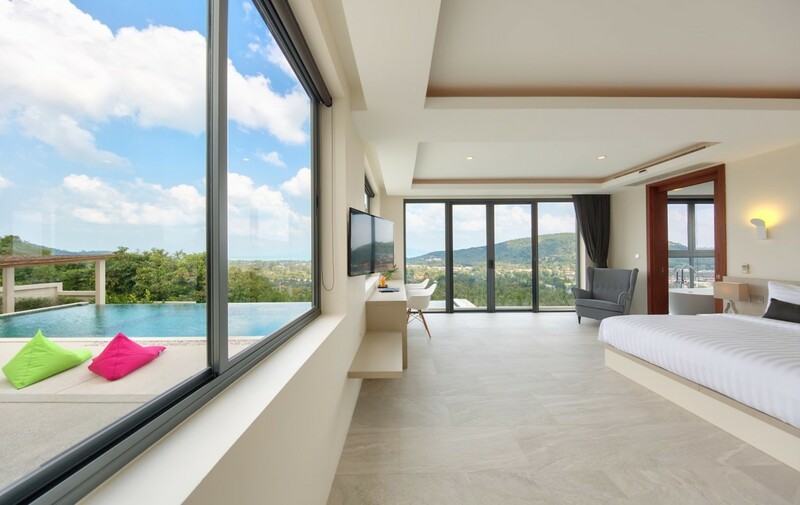 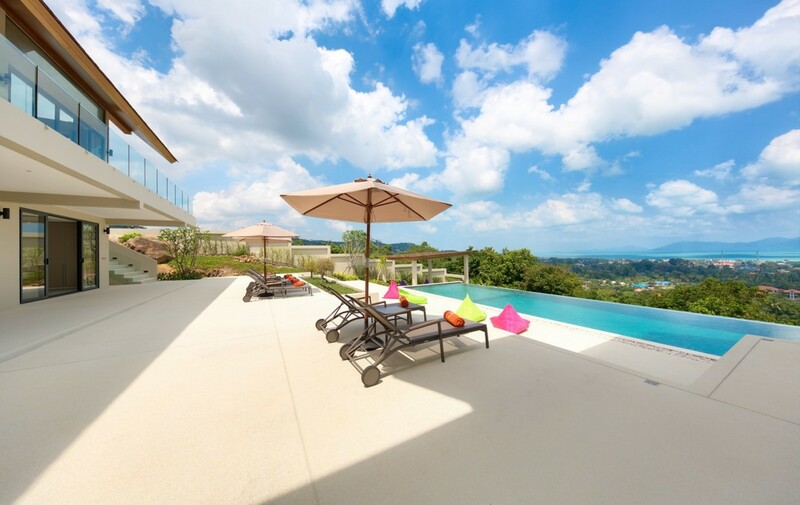 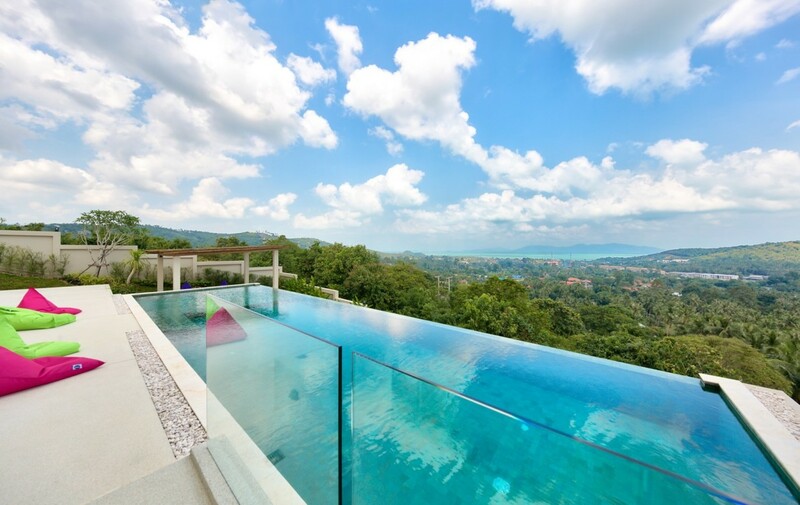 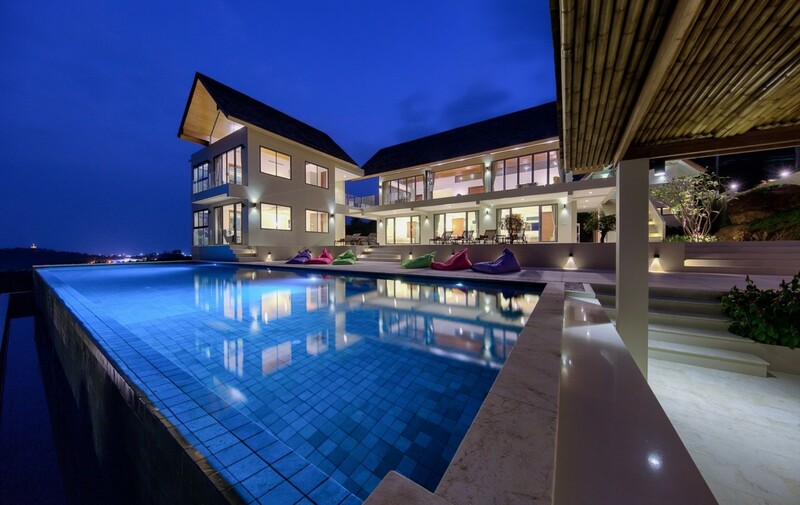 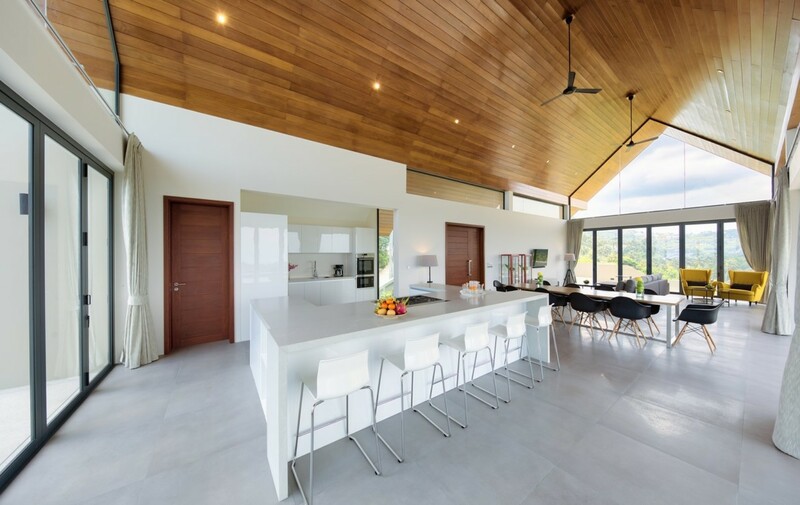 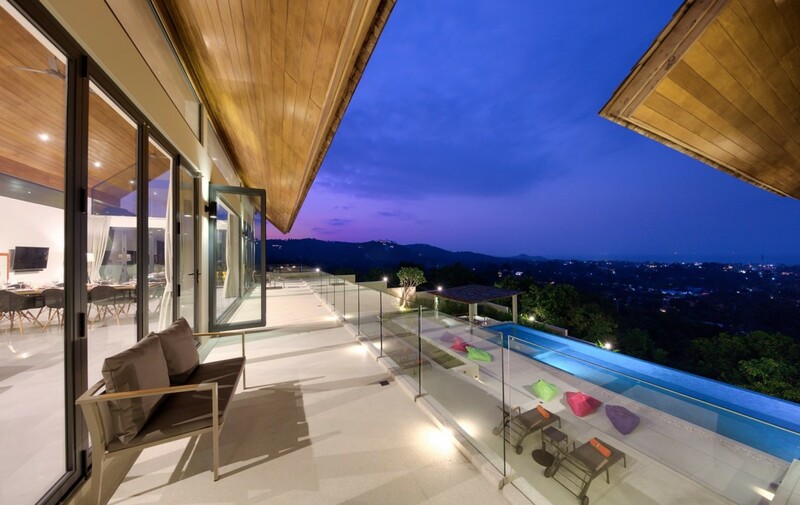 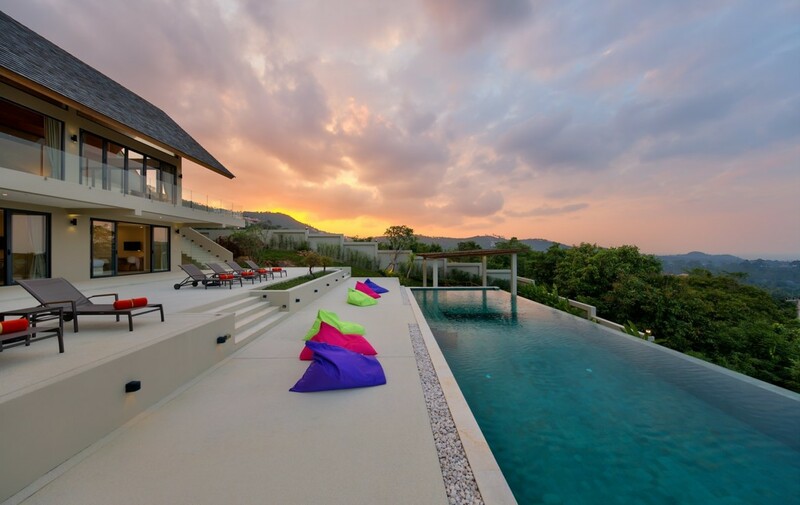 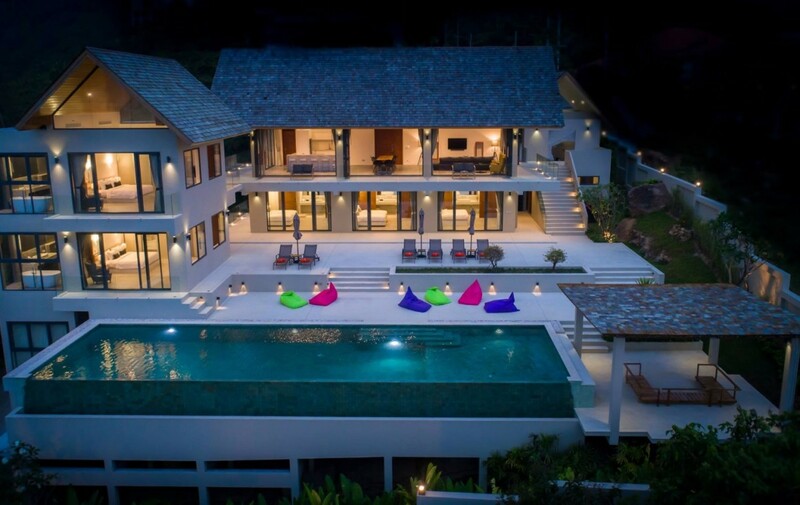 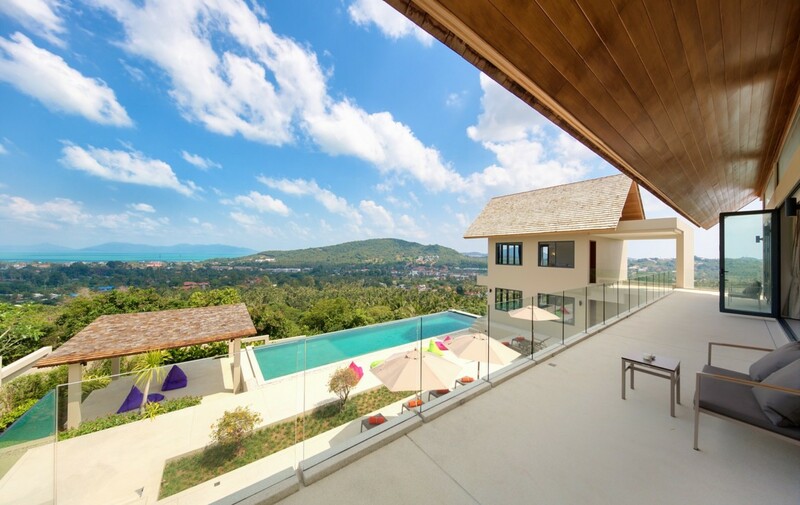 This brand new 6 bedroom villa is located high in the hills of Bo Phut, affording its guests a high quality and stylish standard of living along with stunning panoramic sea views. 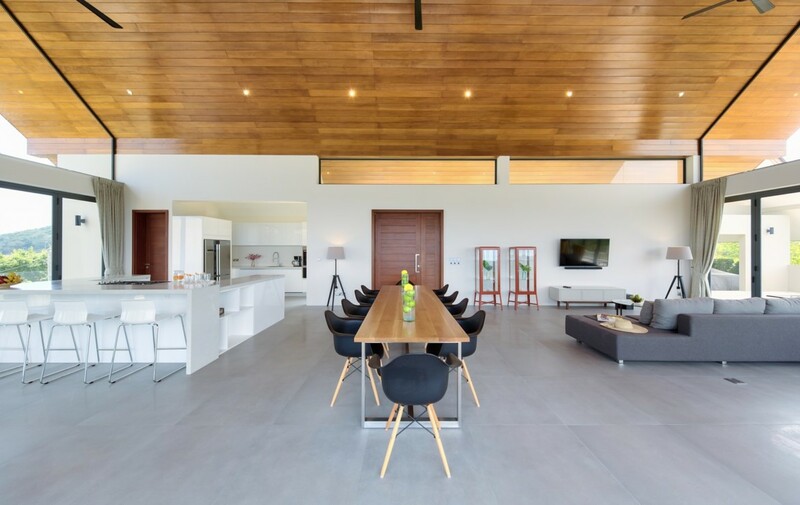 With it’s spacious indoor and outdoor spaces, Nojoom Hills is easily the most ideal place for people who like to travel in groups especially with friends and families. 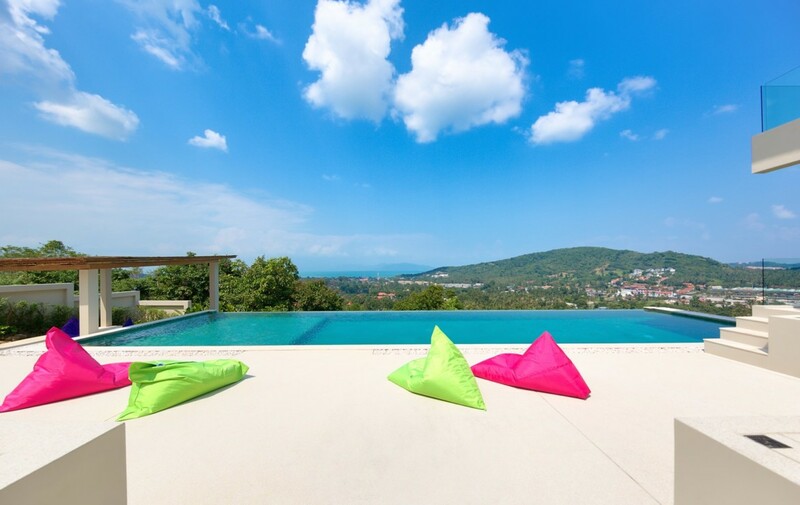 The villa offers plenty of seating areas on the patio and comfortable sunbeds by the large infinity pool where Samui’s natural landscapes can be admired, providing it’s guests the perfect area to mingle with each other while enjoying a great view and without the feeling of it being crowded. 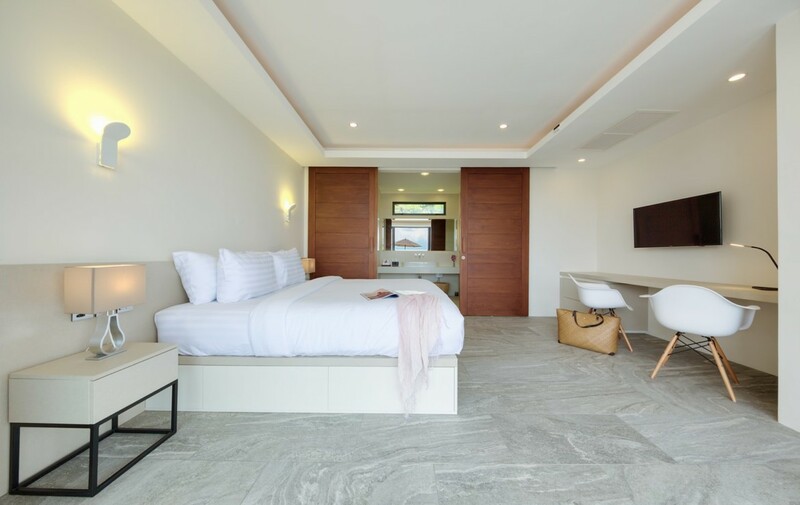 The entrance level of the villa exudes modern luxury with a light and airy feel. 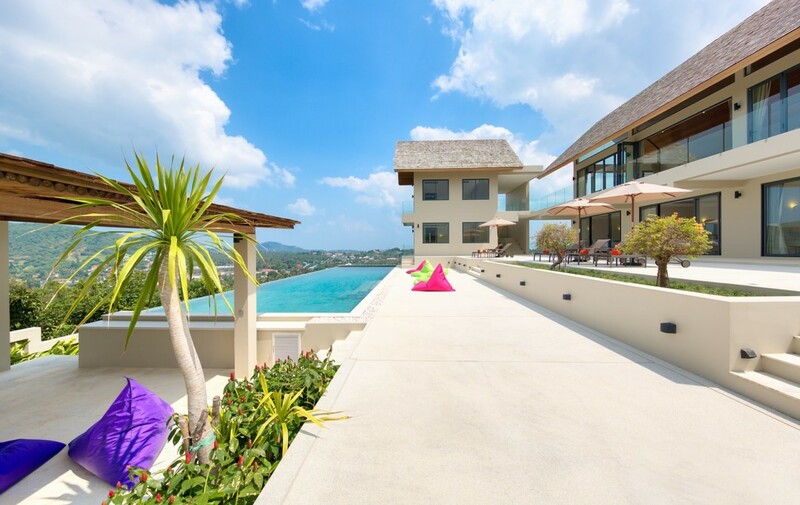 Upon entering, you will be welcomed by an impressive sight of the open plan living, dining and kitchen area as well as a terrace overlooking the pool. 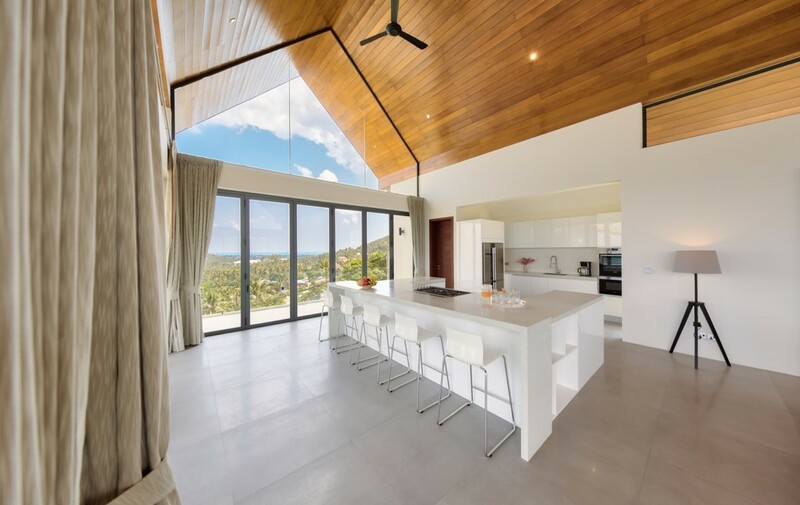 For those looking to entertain, this villa has a large, fully functional western kitchen filled with all the required appliances and all of the amenities you would expect to find in a villa of this standard. 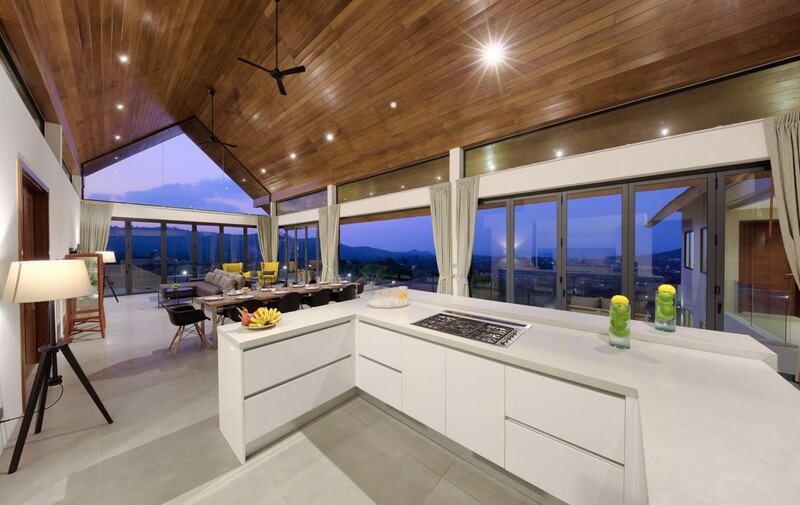 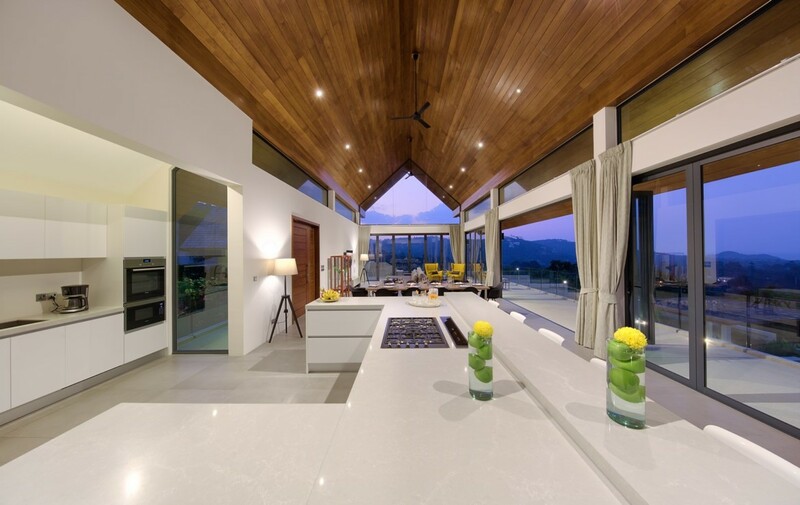 The open plan dining area also offers guests the privilege of soaking up incredible views while dining. 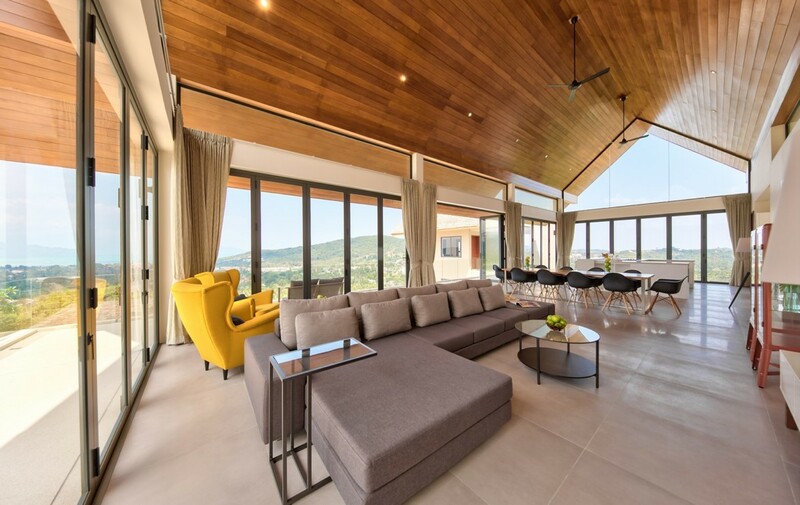 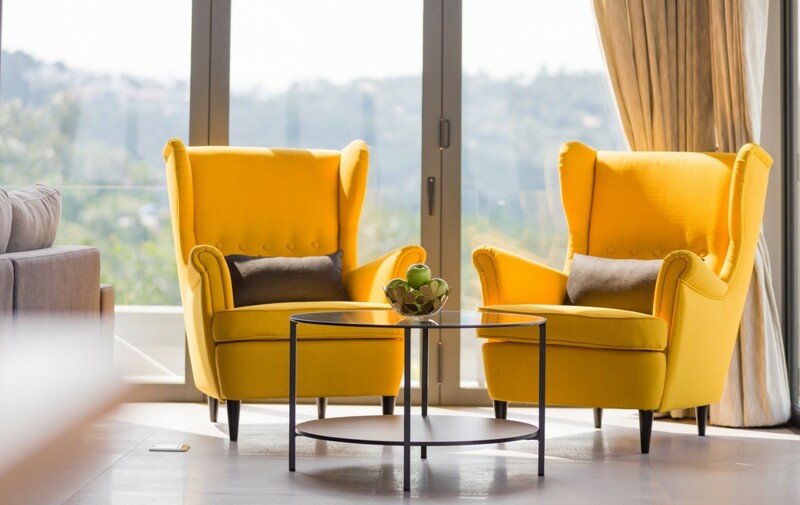 The private living area can be found with comfortable seating, a state of the art entertainment system and panoramic ocean views. 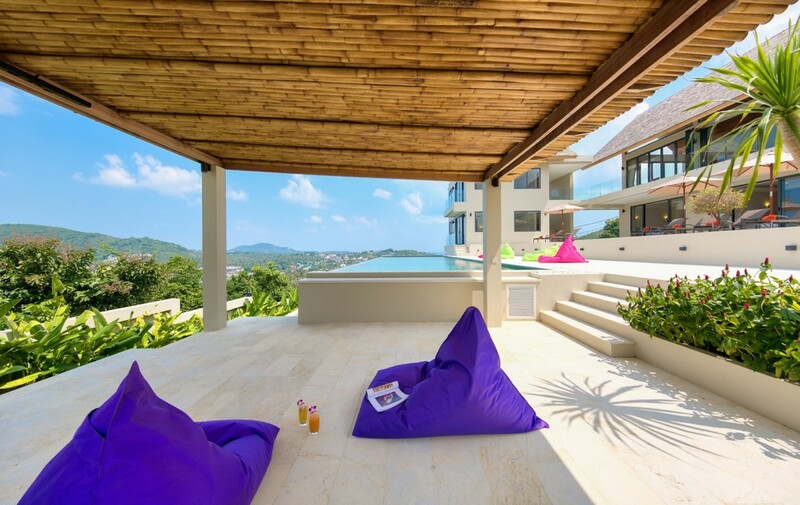 From here one can sit back and relax and feel the stresses of modern life dissolve. 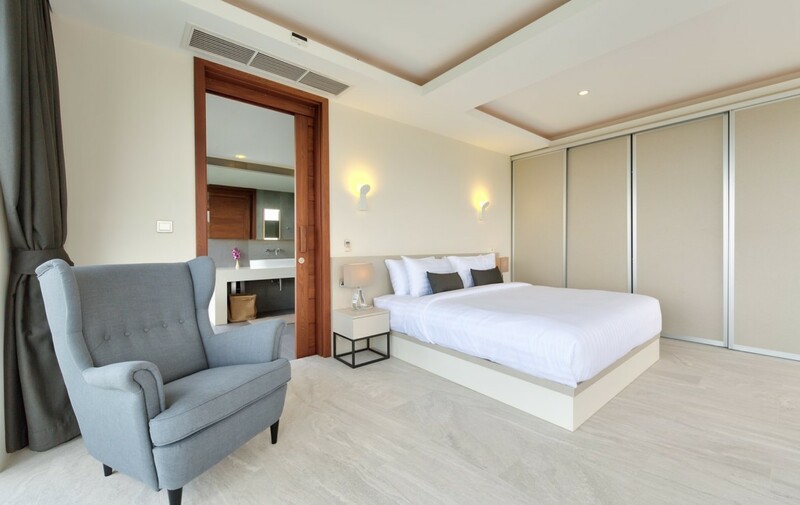 Each of Nojoom Hill’s 6 bedrooms are furnished with the utmost style and includes airconditiong. 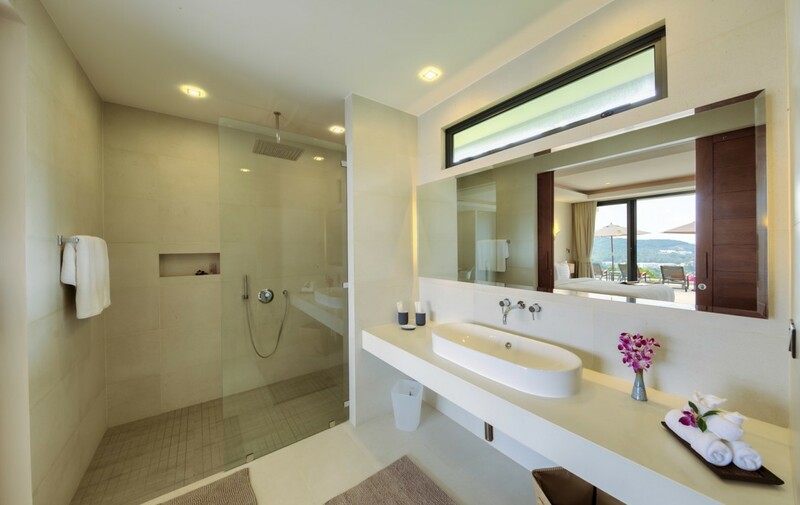 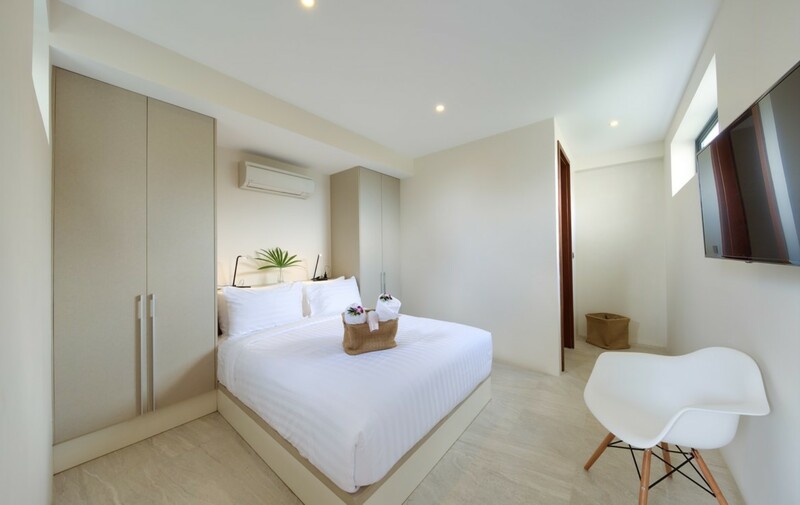 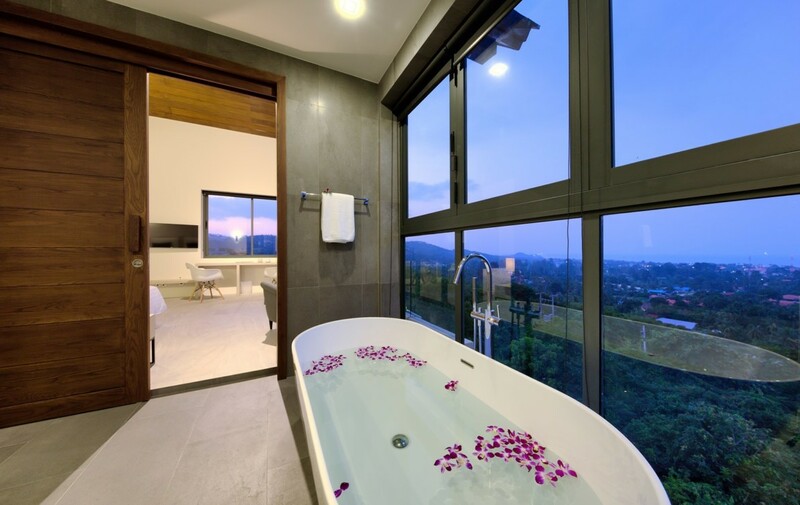 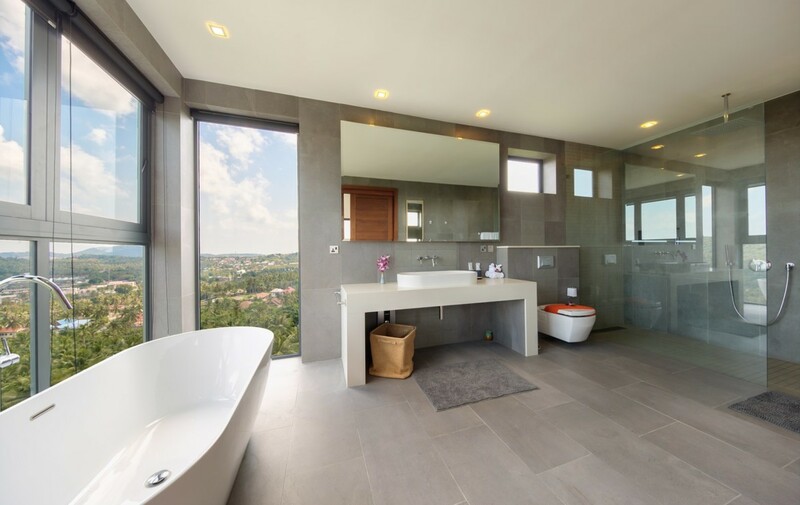 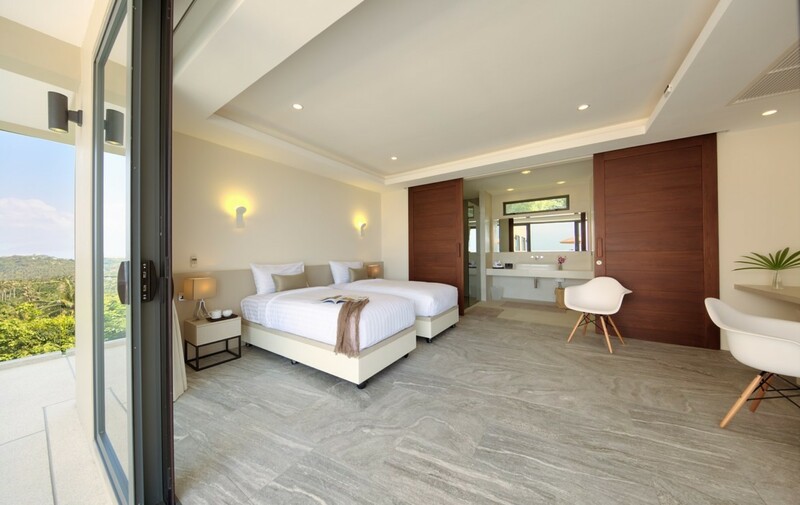 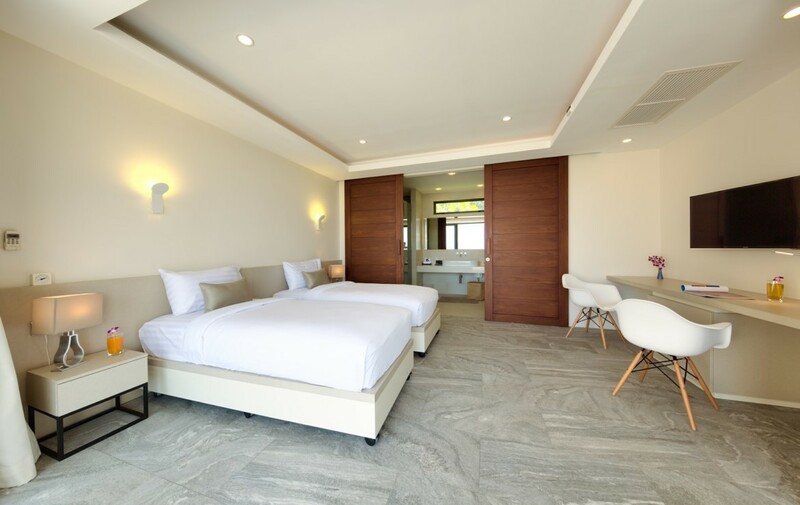 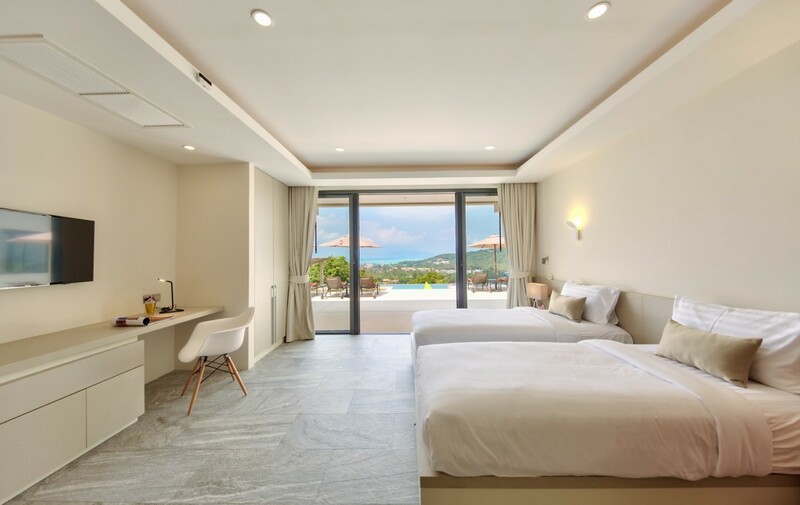 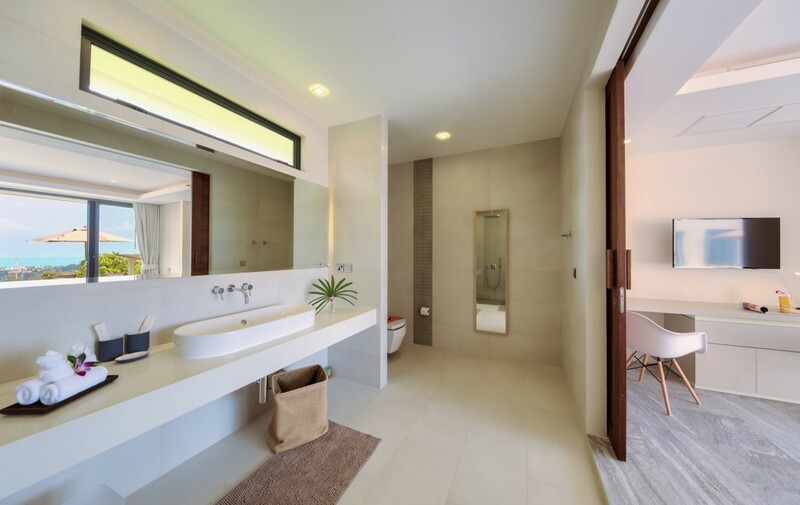 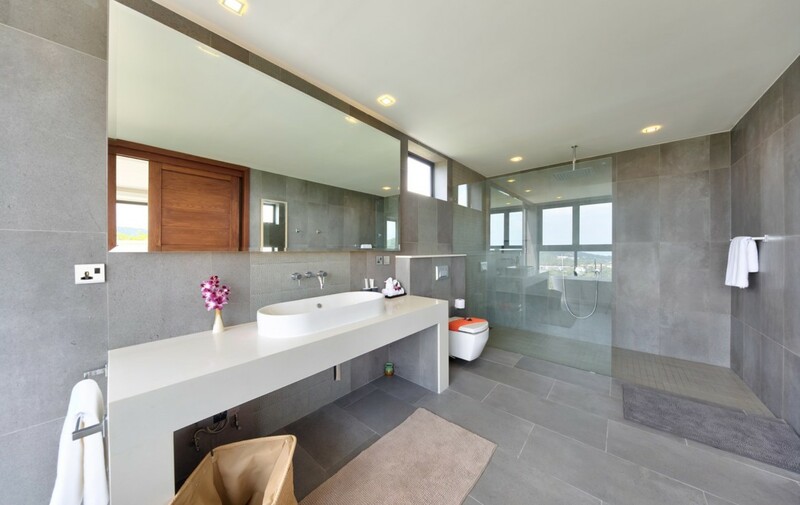 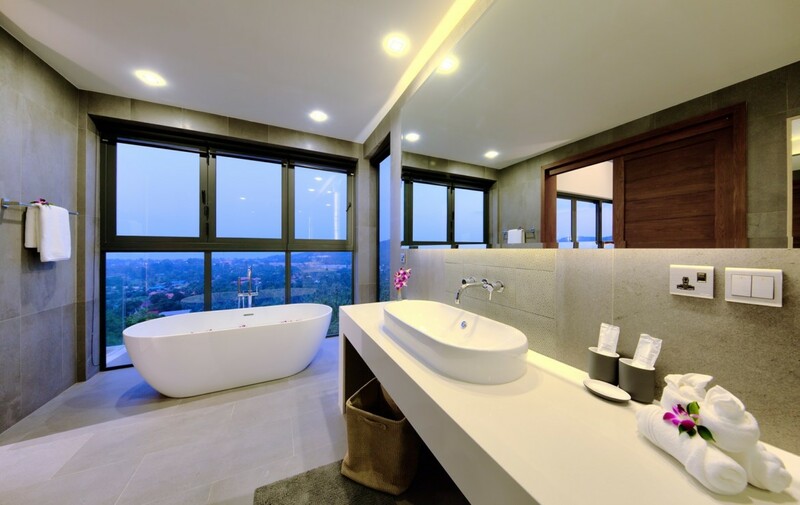 Beyond the tasteful decor, each room has an en-suite bathroom which includes a wonderful free flowing rain shower and stainless steel fixtures. 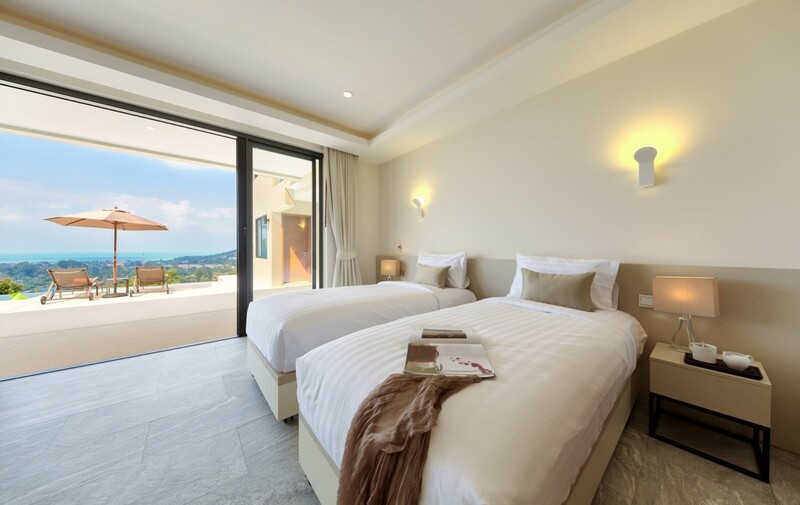 5 of the bedrooms have a wonderful ocean-view and overlooks the pool area.